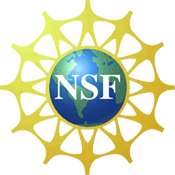 Committed to improving diversity in science, technology, engineering, and math (STEM) disciplines by encouraging participation by women, persons from Native American tribes, and others from underrepresented groups in our activities. CMOP is creating pipelines from K-12 education through graduate school to increase access, and removing barriers to STEM education for underrepresented groups. CMOP has activities designed to increase access and retention for underrepresented groups and is involved in diversity-related activities and collaborations. CMOP is building a truly unique synergy with the Native American community in the Pacific Northwest and Alaska, allowing us to work across all scales of the Center’s initiatives: Research, Education, and Knowledge Transfer. From its inception, CMOP has received the support of pivotal leaders within the Native American community, key individuals who have influenced policy decisions at the tribal, regional, and national scale. 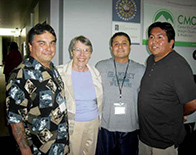 Sponsored by CMOP, The Honorable Elizabeth Furse, former U.S. Congresswoman frequently presents on Tribes, Treaties and Natural Resource Management to students, faculty and staff across CMOP and the Oregon Health & Science University. In her talk, Hon. Furse discusses general fundamentals of Indian affairs public policies that include treaties, land, natural resource management and their importance to American Indian and Alaska Native communities. She shares her perspective about the role of science and research, and how scientists can best engage with American Indian/Alaskan Native communities as we work together to address environmental health disparities for tribal people. View a video of her seminar. The center supports a K-12 partner program with established record in both gender and ethnic diversity (SMILE) and supports our K-12 partner program (Saturday Academy) to increase ethnic diversity through fellowships. We are building collaborations with Native American K-12 programs and creating a network of collaborations with minority-serving undergraduate institutions, and in particular with the Northwest Indian College and the CEA-CREST Center at California State University – Los Angeles. Participation of women in leadership and in the student body, and we are making solid (relative to Pacific Northwest demographics) progress towards inclusion of underrepresented students. There is no simple or fast solution to increasing diversity in STEM disciplines. The center is giving preference to multi-prong, often long-term, approaches that are self-sustainable, are based on natural interests of targeted groups, are exportable, and for which CMOP can be a transformative catalyst. The center recognizes that, although the issue is national, accounting for local and regional specificity is essential for effective and sustainable action. For suggestions or more information, please contact Vanessa Green, Director of Higher Education and Diversity.